They have become household names in Samoa. For the Szegedi family who run the Treasure Box business in Apia, from the cold of Europe – namely Germany - where they came from, there is no other place they would rather be than Samoa. But it has taken all 32 years of living to truly establish themselves on this island paradise. 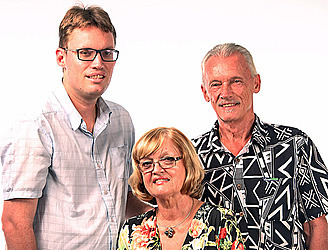 For Stefan Snr, Christa and their son Stefan Jnr, Samoa is home. During an interview with the Samoa Observer, Christa recalled their early days in Samoa. Their decision to leave German in pursuit of a dream life was not all roses. Christa said they wanted to start a life less stressful than theirs in Germany. They also wanted to own a business. Making the decision to leave Germany, she said, was the easy part. On one hand, there was the cultural shock. Then there was the language barrier and of course all the challenges that come with relocating. Keep in mind that we are talking about thirty years ago. Communication is a two way street. And for her family in Germany, they were anxious and worried about how the Szegedis were getting on in a remote Pacific island. “For one thing, they didn’t know where exactly Samoa is,” she said. 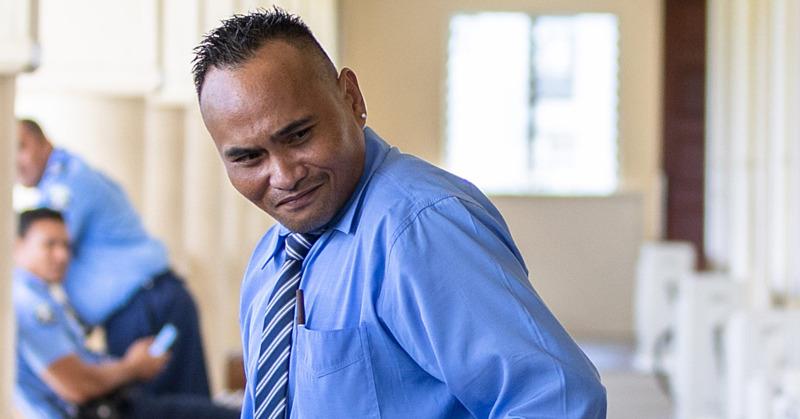 “Complicating matters was the fact our family had a new grandchild, just seven weeks old before we emigrated to Samoa.” That was Stefan Jnr and many years ago. Today, the family has settled in and well established. Christa’s parents have visited Samoa several times and have always enjoyed their new home, returning with many wonderful stories to share in Germany. They have also had friends and other relatives travel to Samoa and have left with the same experience. 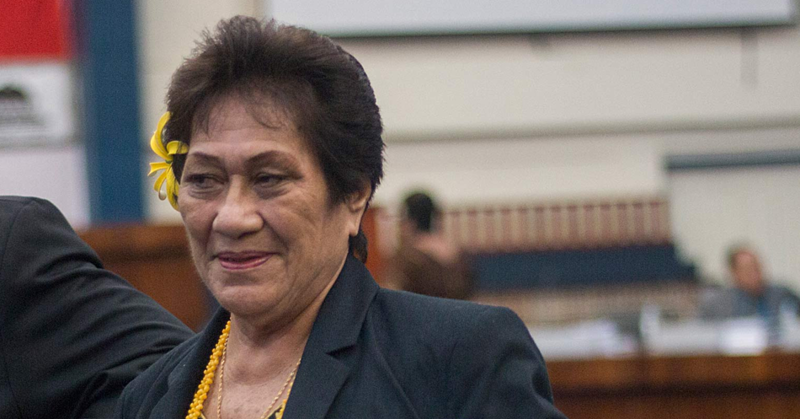 “Communication is so much easier these days,” she said of the technology now available in Samoa. Business-wise, the Szegedis first attempt to start one came through the establishment of a restaurant called the Apia Inn. That allowed them to interact with locals, learn the language and meet people. Later came the Treasure Box, a business they are well known for in Apia. Looking back, Christa said a lot has changed in Samoa. “Back then, there was only one bituminized street and there were less than two thousand cars. Now we have more than 25,000 cars with tar sealed roads all over the place." Christa notes that one thing which has not changed in Samoa over the years is the passion with which Samoans have for their culture and traditions. For the Szegedis, although they have come to love their adopted country, there are some traditions from Germany they have kept. One can see this for example, that for generations already, the male descendant is always named after the father, for the Szegedi family it is Stefan Jnr. Christmas and Easter holidays are occasions to behold in Germany and the family does the same in Samoa. The big Christmas tree at home and the mad search for easter eggs shows a longing for home. The family has also had to take on new traditions like their son Stefan Jnr embracing White Sunday while he was at that age. Christa says that the secret to living away from home is learning how to adapt. 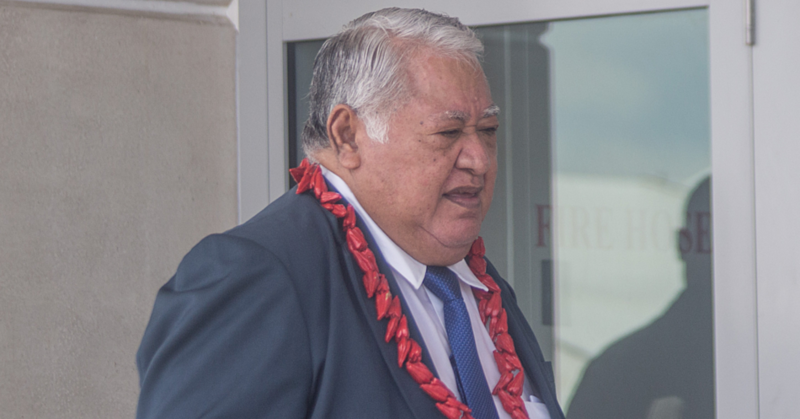 “Keep the traditions of your home country but try and integrate the Samoan cultural conditions and circumstances by honoring and respecting the Samoan culture, even if you’re sometimes thinking of things in a different way. An important fact in their determination to come to Samoa is the history of Germany and Samoa. Christa said there are many Germans – or Samoans with German blood – and they find that very comfortable. “Today one will find lots of German tracks and traces in Samoa. For this purpose, you only need for example to have a look in the phone book and you will find there are lots of German names. “When talking with local people you can hear quite often "my German grandfather" or "my German great-grandfather." Christa said the attitude of Samoans towards Germans is very positive. So what do the Szegedis love the most about Samoa? Well you guessed it; it is the peaceful life style they had left Germany to find. They love the social life and they live only minutes away from the sandy beaches where they spend most of their weekends. The business is also growing with Treasure Box and Pearls & Rings. “This would probably not have been possible in Germany,” Christa said. In Germany, she was employed as a Procurement and Department manager for a Jewelry company. So will they return to Germany? With a smile, the answer is a firm no for now. Her biggest challenges yet include learning to speak Samoan fluently. But she’s got time. She’s not planning to leave this paradise in a hurry.